One month after Nepal’s catastrophic earthquakes, a street in Bhaktapur, South of Kathmandu, rests destroyed and abandoned. Most buildings in the area have been labeled as unsafe by structural experts who came to Nepal after the earthquakes struck the nation in April. Most organizations are preparing to leave before the monsoon season hit in the coming months, which would cause new challenges and expenditures to rebuilding projects. A man walks past a crumbling building in Bhaktapur, South of Kathmandu. Many residents are attempting to demolish unsafe buildings by themselves. Though unsafe, they have grown tired of waiting for government-contracted teams to do the job. Tundikel displacement camp features Chinese donated tents that sleep twenty people. Displacement camps throughout Kathmandu have been growing in size as villagers affected by the earthquake who live in outside villages arrive to live out the oncoming monsoon season. In Tundikel, the Nepali military over see’s organizational operations, while local charities provide meals and childcare activities. Kumar survived both the first and second Nepali earthquakes while living Nepal’s Gorkha district- epicenter of the first of the major earthquakes. 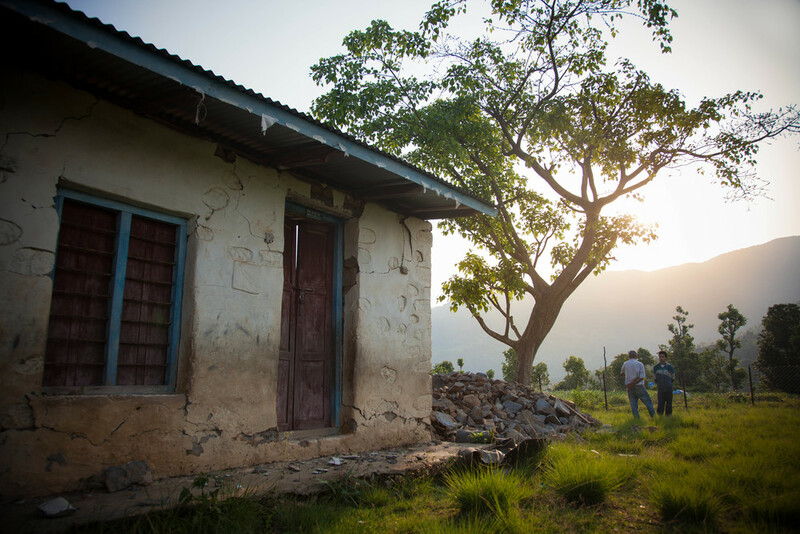 Though his home was destroyed, he continues to live his life working hard, being hospitable, and sharing joy with others. Some areas of the Gorkha district have yet to see earthquake relief teams, and are overwhelmed with the cleanup process. Kingdom Investments Nepal advisors in Gorkha gather with residents to discuss temporary housing situations. KI Nepal is one of the only relief teams undergoing long-term earthquake relief in the predominately Hindu Gorkha district. Many locals who lost homes and jobs in Bhaktapur spend the day salvaging earthquake debris and attempting to stabilize buildings. The earthquake wreaked havoc on Nepal’s’ weak infrastructure, and the nation is dependent on help from outside sources to assist in the relief effort. Bhaktapur, Nepal. May 30th, 2015. Villagers in Armi village gathered together to demolish an unsafe school building after growing weary of waiting for the overwhelmed Nepali Army to do so. A temporary school building was constructed next to the old building for the children to return to classes, which were set to start a week after this photo was taken. A young girl plays in the rubble of her home that was destroyed by the first and second Nepali earthquakes of past April. Parents are often finding their children injured from debris caused by the earthquakes, as it is scatted throughout the Gorkha district. 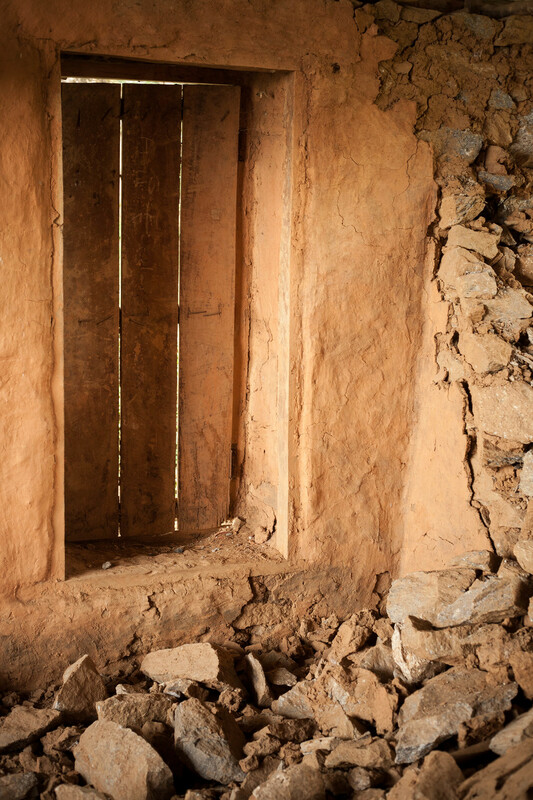 A door to a destroyed home in the Gorkha District will forever remain shut, as the building is unsafe and unfit for use. The Nepali earthquakes of last April were said to have destroyed over 90% of the homes and business in the Gorkha District, epicenter of the first quake measuring 7.8 on the Richter scale. Many people who lost homes in the earthquake were searching for their belongings more than a month after. In Bhaktapur, two young girls walk through an abandoned street filled with dust from nearby building demolition and salvage. 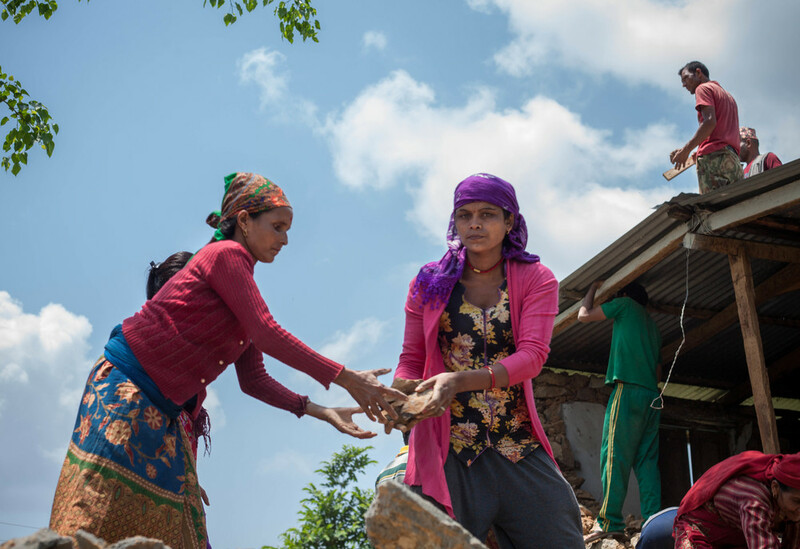 With many relief agencies equipping to leave Nepal before the monsoon season, many Nepali’s are left overwhelmed by the post earthquake relief process, and remain grateful for response to their calls for help.